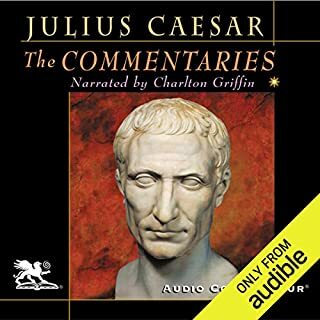 I bought this audiobook recently and am absolutely appalled at the mispronunciation of so much of the text by Charlton Griffin. I would be fascinated to know whether English is his first language or whether any audio proof reading was conducted on the recording. It is incoceivable that a professional reader could pronounce ordinary English words so badly. Apart from the dreadful stressing of words like "forest" which is spokes as "four-est", there are glaring and disconcerting mistakes that leave the listener trying to make sense of the text. "dogged pursuit" as in "dog-ed" is pronounced "dog'd"
"draught of men" as in "draft", pronounced "drout"
Pronunciation of French place names in many cases are just not capable of understanding, such as the rivers "Aisne" which comes as "eye-ne" as opposed to "ayne" or "Saone" appearing as "sain" as opposed to "sa-own"
And dozens more of which perhaps the most amusing is the confusion of "route" and "rout", both pronounced "rout". I wish I had not bought it and would advise readers to look for a better narrator.